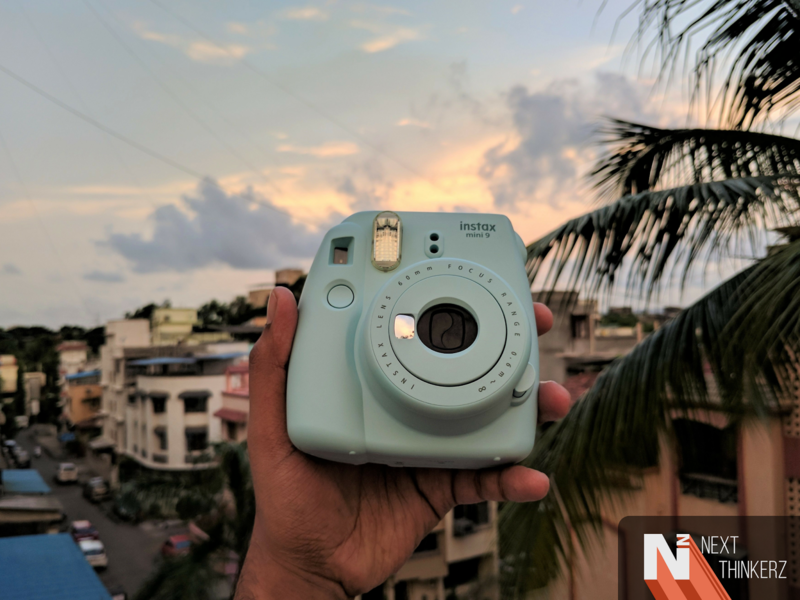 Fujifilm Instax Mini 9 launched In India for Rs.5999 - Instant Camera! Isn't it said that "A photo is worth a thousand words"? Quite frankly without a photo, words are probably useless, as an ideal visual representation is always necessary to predict a precise moment. Photos have become an integral part of our lives, as everyone these days has a gadget called a smartphone. But most of the times, a crucial moment we snap stays hidden under the layer of photos clipped inside our photo library. It's relatively rare that we visit the gallery to see a moment that has occurred about two or three months back. Therefore thinking of a target audience, Fujifilm stepped in to create instant memories into a reality. By the way, Fujifilm is a word well known to the world, where nerds recite the tag - "Photo Fanatics." 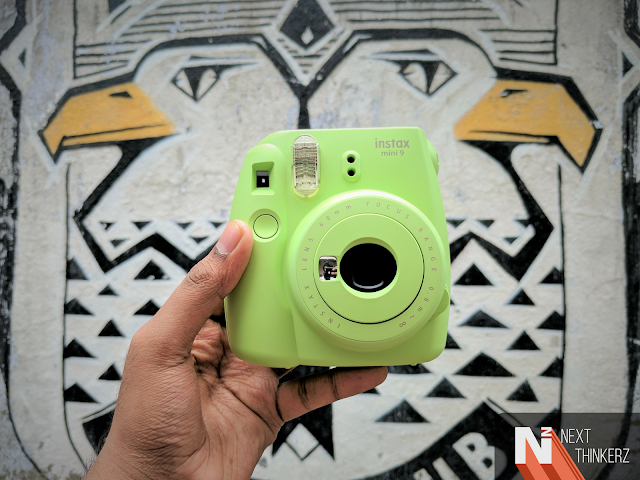 Continuing that trend, today Fujifilm launched the all new "Instax Mini 9" in India which follows the footprint of its predecessors. The design might seem similar from its elders, but a quite lot that has been changed to make it the best possible instant camera out in the market for the price. The Instax Mini 9 also reminds me of my childhood, one of those toys that I always wanted to have. It's a perfect toast of memories clamped into a camera, which almost brings back those good old days of camera films and rolls, provided you had to print those separately. But here on the new Instax Mini 9, it all happens under oddly 90 seconds. So let's find out more on the same in detail, starting as follows. When it comes to the design & build, the Instax Mini 9 looks entirely the same as of its predecessor, which is the Instax Mini 8. 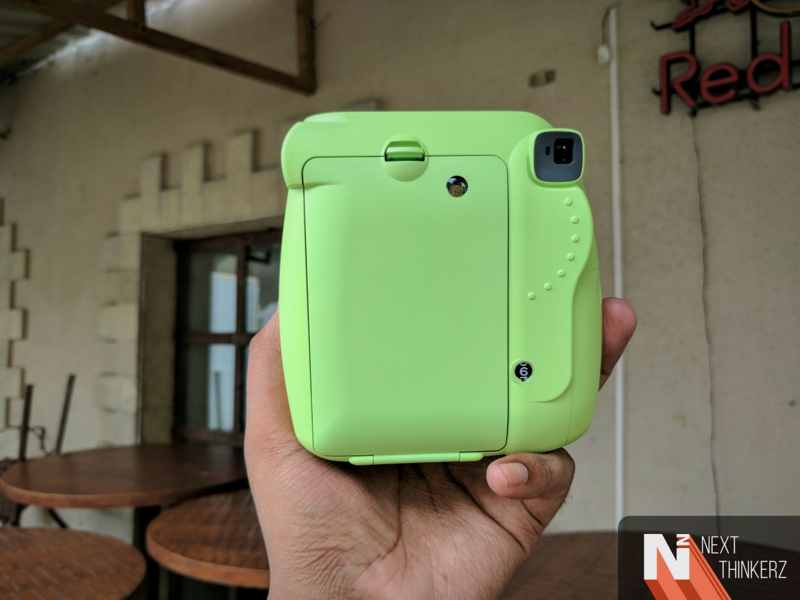 Fujifilm India said that they went ahead with this design, due to the feedback they had received via the old Instax Mini 8. Put forth; the Audience loved the design of the old Mini 8, which is why it recites itself in the new Instax Mini 9. It has a plastic build having a smooth finish and almost looks as if it has been made of out matte finish, but it's not. The smooth appeal doesn't let it slip, but in fact adds an excellent grip, when held. It's almost like a Retro toy from the 90's that has capabilities to print a photo. To add more icing on the cake, Fujifilm has added quite some materialistic colors to its flare. The Instax Mini 9 is available in total five eye-popping colors - "Flamingo Pink,” “Lime Green,” “Cobalt Blue,” “Smoky White” and “Ice Blue.” The colors mostly become more iconic, when it matches your attire. 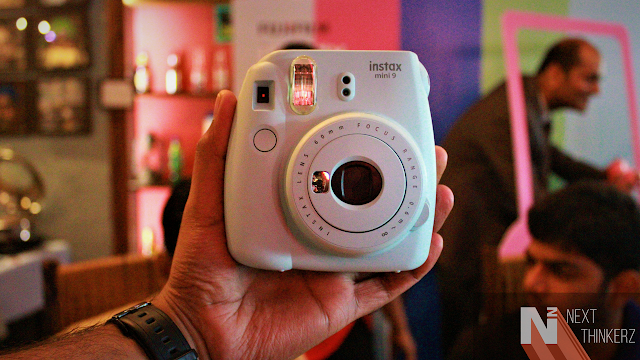 To find a suitable resemblance, just search for the hashtag - Instaxmini on Instagram. 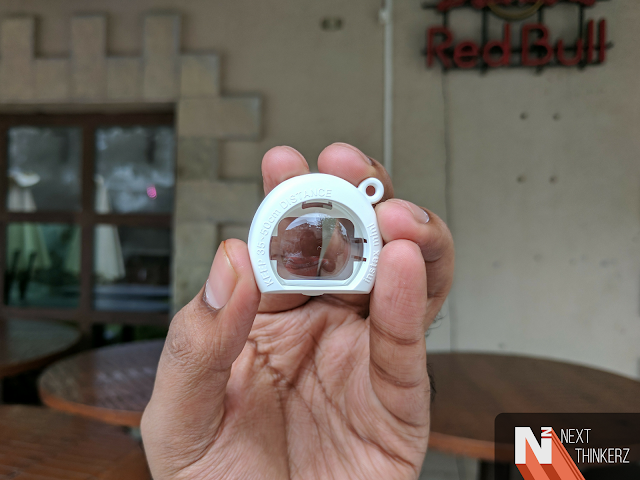 Whereas looking at the changes from its predecessor, Instax Mini 9 comes with a small selfie mirror which sits right beside the camera lens. So that the user gets a small field of view, phrasing what might get snapped. It felt like a nifty feature and worked almost as expected upon my initial usage at the launch event. If you need close up shots, Fujifilm has got you covered. The Instax Mini 9 also comes with a small close-up lens(provided you keep it 30-50cm away from the subject), a wrist strap and some documentations. The close-up lens works great, but I won't deliver a verdict on that without using it for a prolonged period. The Instax Mini 9 has several other features starting from automatic exposure management, automatic aperture & high key mode. The High Key mode is the reason why sometimes photos are over exposed, like the during this mode more light gets into the sensor. But this mode is proprietary for low lighting conditions. You can set the matching tone according to the environment may that be Indoors(F 12.7), Cloudy(F 1.6), Sunny(F22) or Bright(F 32). However, the camera automatically detects the environmental conditions and sets up the mode upon the same. If you find that the brightness gets high, consider rotating the brightness dial, which can get often misinterpreted as a Zoom Dial. The shutter speed is fixed at 1/60 sec, whereas the flash has been turned on permanently. That can get annoying quickly, as sometimes photos come out better in natural light. But it's ON by default, that's the deal. Another thing noticeable is that if you frame the shot by looking into the viewfinder, the printed shots get naturally shifted to the right. So make sure your subject stays more likely on the left. 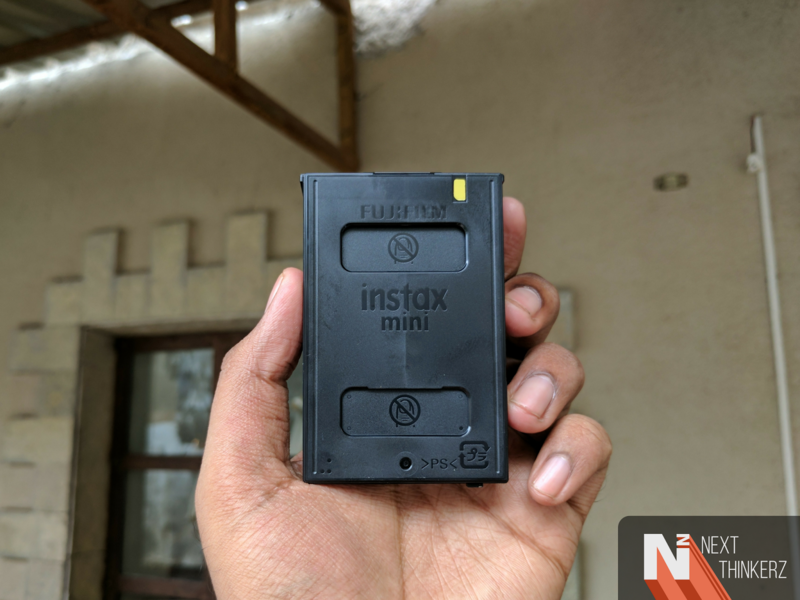 How to click a photo using Instax Mini 9? Turn on the camera by clicking the button beside the camera lens. Insert a cartridge & close the cap. Tap on the shutter button, this removes the top cover from the cartridge, and it's dispatched automatically out of the top opening. Align the subject to the left. You will soon witness the film processing. Wait for about 90 secs or more, for the film to develop entirely. Between every 6 seconds, the flash charges itself, this helps it in the execution of the next shot. Targeted Audience for Instax Cameras? This topic gets more likely confusing for the users who grab it for the first time. The officials at the event stated that the Instax cameras are more apt favored in parties, festivals & events, touching the thought of a retro look. The officials added that the Instax cameras are popular with youth, parents, kids, designers and photo enthusiasts. I can relate to this since as soon as I posted about this on my social media channels, everyone in my list went nuts. It's more like a collector's item, bringing back the nostalgia. One could relate to this only if the person were born in 90's. Two different lenses having F=60mm at 1:12.7 aspect ratio. Real image finder 0.37× with 0.6m and beyond shooting range. Shutter speed has been fixed up to 1/60 sec. Manual exposure switching (LED indicator in different modes). Flash recharge time - 0.2 sec to 6 sec. Flash range - 0.6 m to 2.7 m.
Two AA size alkaline batteries have about 100 shots capacity. Picture size is 62mm x 46 mm. The camera turns off automatically within five mins. The dimensions of the Instax Mini 9 is as follows: 116 mm × 118.3 mm × 68.2 mm. while it weighs around 307gms without the accessories (Battery, film cartridge, etc.). The Instax Mini 9 separates the layer of the digital edits bringing back the retro style in the form of physical photos. But not everyone is fond of such gimmicks, many times I messed up due to accidentally pressing the shutter button, in turn triggering the photo. But it'll take some time getting used to, since it was my first time using the Instax mini 9. Speaking of which the Instax Mini 9 would be sold besides the Mini 70, Mini 25, Mini 90, Wide 300, Mini Hello Kitty and even the Instax Mini 8(Some markets). Whereas by the title you already know that it's priced at Rs. 5,999. Though you need to buy the cartridge films separately, for Rs.1000, you get up to 20 Films. Most of them would get lost while practicing, so make sure to purchase a bunch of extras. I'll be using the new Instax Mini 9 for the course of next few weeks, so if you have any thoughts/Doubts/Queries on the same, kindly connect with me on social media. Also, make sure you follow us there to be the first to know when the full review of the new Instax Mini 9 is out. Soon available on both online & offline retail stores.